Lock in a great price for Millennium & Copthorne Hotels at Chelsea Football Club – rated 8.1 by recent guests! Good location. The concierge is great and so helpful. Super nice! The check in service is quick. Nice clean hotel, friendly staff. Pedro on Recption was fantastic! Staff went above and beyond to assist guests. It’s next to Stamford Bridge. The hotel is in a great location for buses and tube station. The hotel is convenient for match days and the staff is friendly. Everything! Decent price, considering it's London. Tube station nearby. Restaurant/bar right it the front door. Convenience store across the street, that's open late. Very clean. Staff are great. Convenient location to where I need to get to. 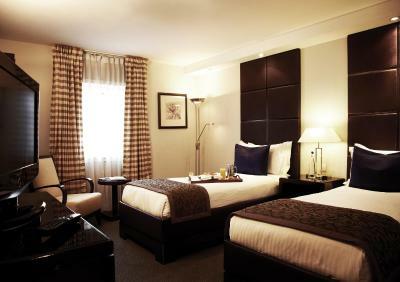 The location , security, staff, and the cleanliness of the room! We came for a Chelsea match so the whole experience was fantastic for us - great location and great property and service - Thank you very much! 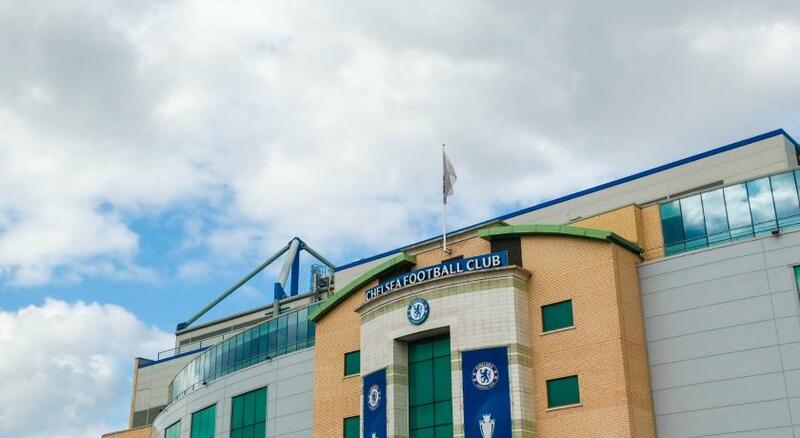 Millennium & Copthorne Hotels at Chelsea Football Club This rating is a reflection of how the property compares to the industry standard when it comes to price, facilities and services available. It's based on a self-evaluation by the property. Use this rating to help choose your stay! 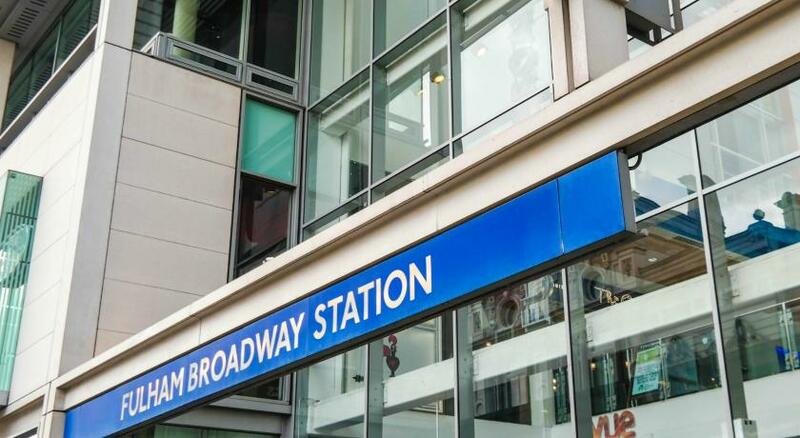 One of our top picks in London.On site at Chelsea Football Club, Millennium & Copthorne Hotels at Chelsea Football Club is 5 minutes’ walk from Fulham Broadway Underground Station. The 4-star hotel has 2 restaurants including Frankie’s Sports Bar & Grill. Modern rooms have luxurious fittings and large marble bathrooms. All rooms have a flat-screen TV and WiFi access. Complimentary breakfast is offered to guests staying in the Club rooms. Frankie’s Sports Bar & Grill, a family-friendly restaurant serving Modern European cuisine. 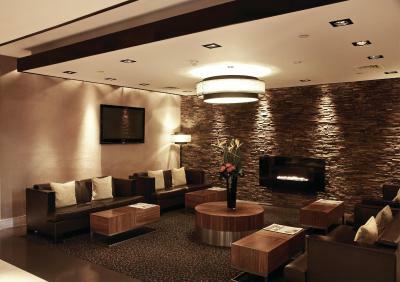 55 Bar & Lounge is the hotel’s chic lounge with WiFi, wide-screen plasma screens, all-day food and an extensive cocktail list. The tube and buses provide easy access to central London. South Kensington with its shops, Natural History Museum and the Victoria and Albert Museum is a 25-minute walk away. 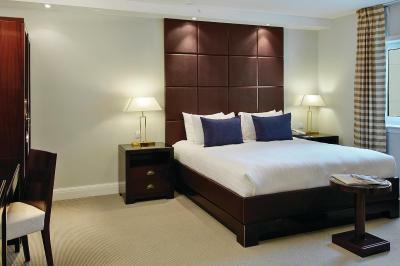 When would you like to stay at Millennium & Copthorne Hotels at Chelsea Football Club? 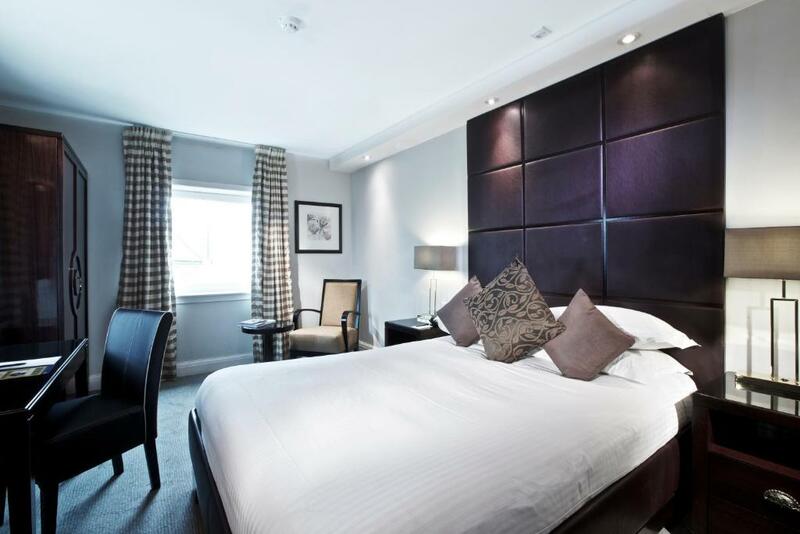 This double room features a large working desk area, tea/coffee making facilities, an iron and ironing board, air conditioning, an in-room safe, a hairdryer, direct dial telephone and a flat -screen TV. WiFi is free of charge and internet speed of 2MB per device which can be upgraded to 5MB for GBP 10 per 24 hours. Public parking is available on site (reservation is not needed) and costs GBP 36 per day. These larger rooms feature a large working desk area, tea/coffee making facilities, an iron and ironing board, air conditioning, an in-room safe, a hairdryer, direct dial telephone, 1 complimentary bottle of water each day, magazines, upgraded toiletries, bathrobes, heated bathroom floors and a flat-screen TV. This twin room features a large working desk area, tea/coffee making facilities, an iron and ironing board, air conditioning, an in-room safe, a hairdryer, direct dial telephone and a flat-screen TV. These larger rooms feature a large working desk area, tea/coffee making facilities, an iron and ironing board, air conditioning, an in-room safe, a hairdryer, direct dial telephone, a fridge, 1 complimentary bottle of water each day, magazines, upgraded toiletries, heated bathroom floors and a flat-screen TV. These larger rooms feature a large working desk area, tea/coffee making facilities, iron and ironing board, air conditioning, in-room safe, hairdryer, direct dial telephone, fridge, 1 complimentary bottle of water each day, magazines, upgraded toiletries, heated bathroom floors and a flat-screen TV. This room features a large working desk area, tea/coffee making facilities, an iron and ironing board, air conditioning, an in-room safe, a hairdryer, direct dial telephone and a flat-screen TV. This family room contains 2 double beds. It features a large working desk area, tea/coffee making facilities, an iron and ironing board, air conditioning, an in-room safe, a hairdryer, direct dial telephone and a flat-screen TV. 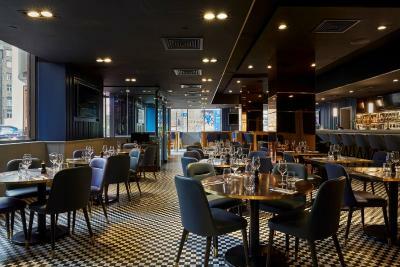 House Rules Millennium & Copthorne Hotels at Chelsea Football Club takes special requests – add in the next step! One older child or adult is charged GBP 36 per person per night in an extra bed. Millennium &amp; Copthorne Hotels at Chelsea Football Club accepts these cards and reserves the right to temporarily hold an amount prior to arrival. Millennium & Copthorne Hotels at Chelsea Football Club accepts these cards and reserves the right to temporarily hold an amount prior to arrival. The hotel does not accept bookings for more than 8 rooms. Please note that during home games, the property cannot accommodate guests/fans from the opposing team. Request smoking/nonsmoking room when booking. Due to increased security concerns in the UK, please note that Millennium Hotels & Resorts hotels may implement enhanced security measures from time to time, such as required identification checks and/or security searches. Millennium Hotels & Resorts appreciate your understanding and cooperation during these times as the safety of guests and staff is of the utmost importance to the hotel. Room was hot and air conditioning fan was noisy. There two hotels, one in front to the other. One is the Millenium (more a regular hotel) and the other one is the Coptorne which is more stylish. The difference is not described during the booking experience. Good position, as the metro is only 7-8 minutes by foot. Area is very safe The hotel is in Chelsea Stadium area, and the atmosphere is enjoyable. Good size rooms and excellent isolation from external noise. Poor air conditioning. Room shabby. Lift access poor. Beds uncomfortable. Right on Chelsea stadiums door it was perfect for the game! Close to the local bars etc. Staff were helpful and friendly and we plan to come back. there was not really something that bothered me. Everything was great. breakfast was outstanding! A typical and various choice of English breakfast and they even guide you to your seat and search for a place. Quiet room and a good bed.